When is the best time to travel to Zambia? 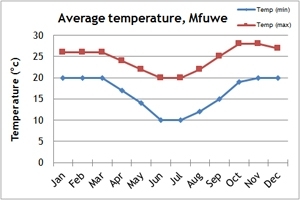 Our climate charts will give you an idea of the weather conditions in Zambia. Zambia lies in the tropics, but has a generally moderate climate. Between December and April it is hot and wet – this period is known as the emerald season. Not all the camps are open but many rave about the incredible light, lush green vegetation and prolific birdlife at this time of year. Game viewing is usually by 4x4 due to the high vegetation. From May to August it is dry, becoming increasingly cooler. 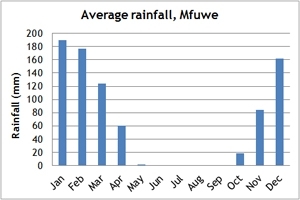 In September, and through to November it remains dry but with temperatures rising over these three months. The peak period for visitors is August to early October but South Luangwa never feels busy even then. Walking safaris are best between June and September when foliage is low and skies are blue but not oppressively hot. If you can't make the dates of our group departures, then take a private departure on dates to suit you, or we can create a Tailor Made holiday especially for you, your family and your friends.